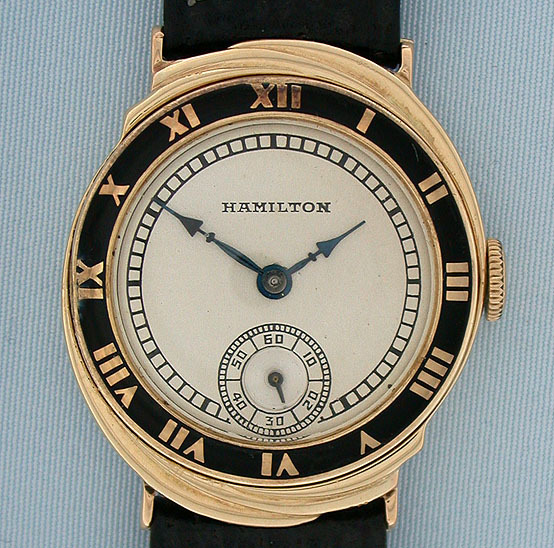 Fine Hamilton Spur 14K yellow gold and enamel Art Deco vintage wrist watch circa 1929. 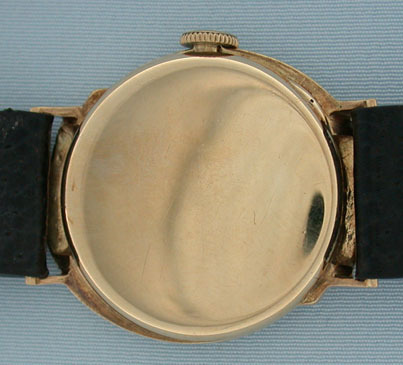 Stylized case with white gold numerals against a black enamel background. Light signs of use to the enamel. 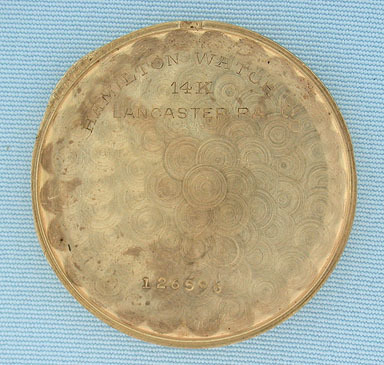 Refreshed silver dial with original hard enamel markings. blued steel hands. 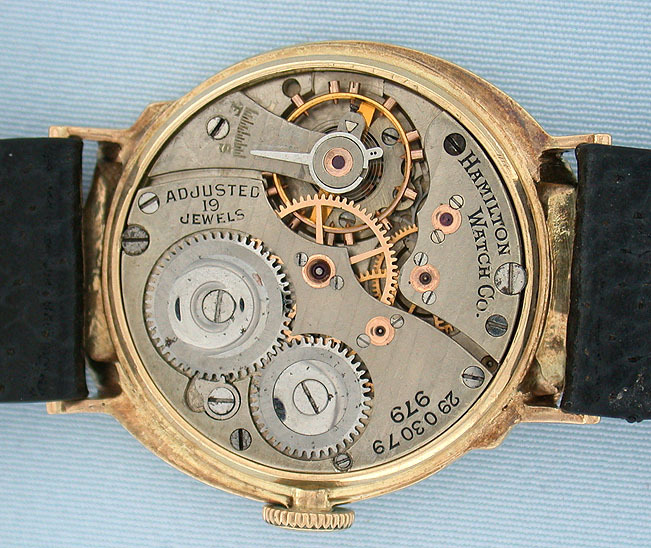 calibre 979 adjusted 19 jewel movement. Handsome.